How do I reference… a YouTube video? Bloomberg users require individual accounts set up. You may be asked to create your account before attending a Bloomberg Taster session. 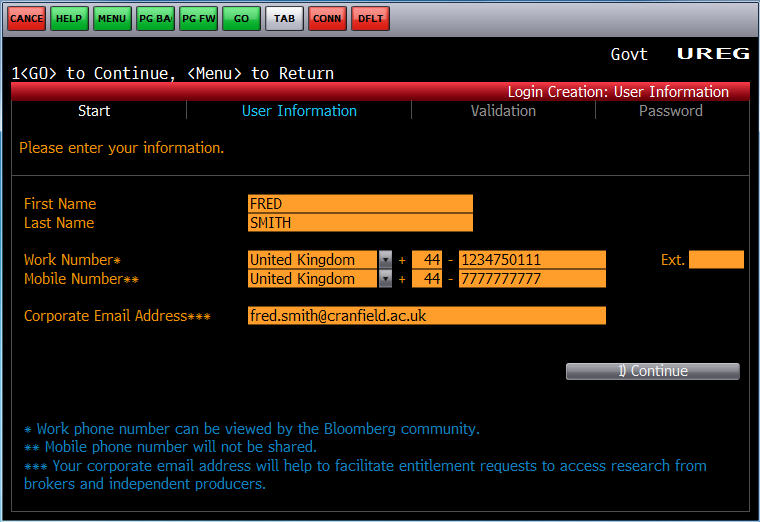 Once you have logged into the University network on a Bloomberg terminal, you need to click on the green Bloomberg icon to get started. Setting up your account only takes a few minutes. 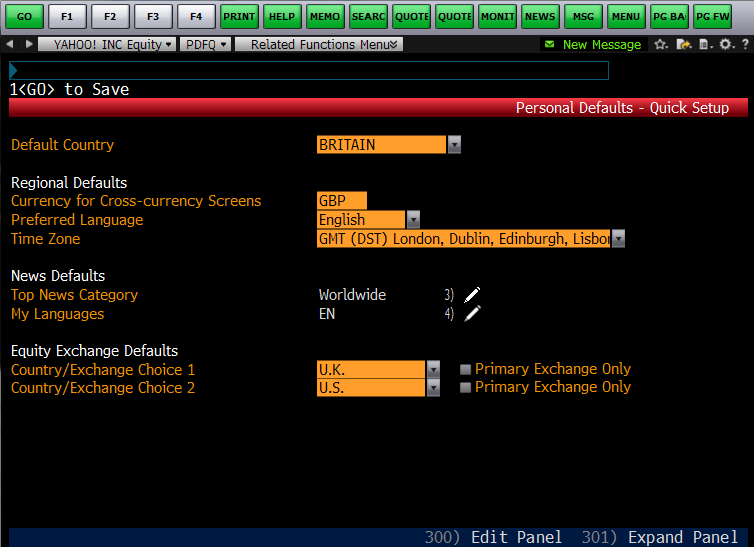 Here is the default Bloomberg login screen. New users should click on ‘Create a new login’ (beneath the login boxes) to start the process. Next, Bloomberg will ask a few questions about any previous Bloomberg use. Fill these and click to ‘Continue’. If you have an existing account on their system, they will link it to your Cranfield account. If you are going to use our terminals, you will need to have a Cranfield registered account. 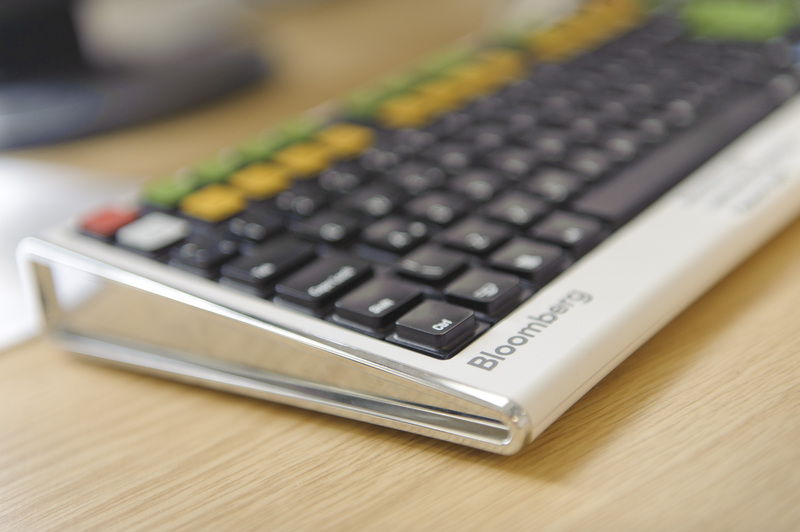 Bloomberg will not allow logins from other organisations on Cranfield registered terminals. Now fill out your details. You will need to include two phone numbers and your Cranfield email address. 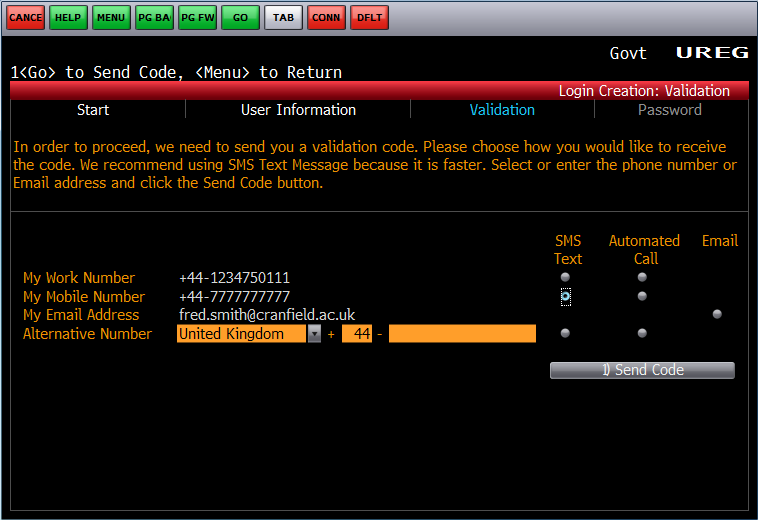 Your ‘work’ phone number will appear on your Bloomberg profile so make sure it is one that you are happy to share. The next part of your registration process will be to validate your account. This can be done by SMS, telephone call or email. You are free to decide. After this point, Bloomberg will send a validation code to your chosen destination. This can take a few minutes. Use it on the next screen to complete the registration process. The final stage of your registration involves setting up your username and password. 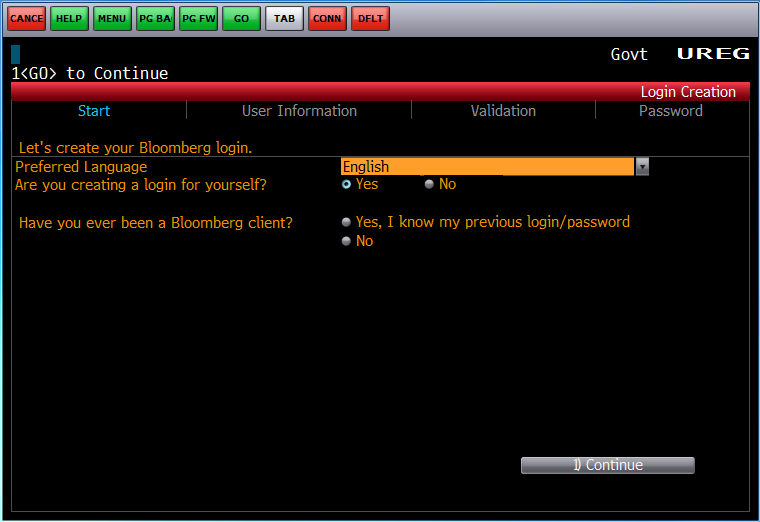 Bloomberg will create your username and you set your password. At the end of the process, you will be taken back to the login screen to login properly for the first time. When you login for the first time, you are required to set some personal defaults. 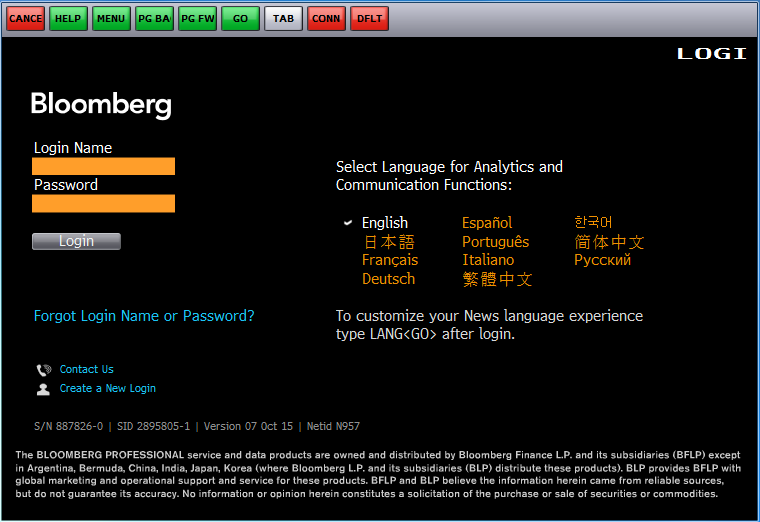 You can return to this page at any time by using Bloomberg code PDFQ. Congratulations! You are now a fully-fledged Bloomberg user. Why not try out Bloomberg’s online training programme, Bloomberg Market Concepts <BMC>, to get yourself started? If you have any questions about Bloomberg or would like to attend a Taster session, please contact MIRC staff. Coordination, Can we do it Smarter?